“I wanted to inform you that the Director of the Central Intelligence Agency (CIA) directed in August 2013 that the agency make no operational use of vaccination programs, which includes vaccination workers,” President Obama’s top counterterrorism and homeland security advisor, Lisa Monaco, wrote to the deans of 12 public health schools. Yahoo News obtained a copy of the May 16 letter (below). The Central Intelligence Agency had enlisted a Pakistani doctor, Shakil Afridi, to collect intelligence under the guise of an immunization effort in the city of Abbottabad as part of planning for the high-risk May 2011 raid on Osama bin Laden’s compound there. The agency aimed to confirm intelligence that bin Laden was at the compound by comparing DNA obtained from children living there to a sample from the fugitive al-Qaida chief’s late sister, the Guardian newspaper reported in July 2011. 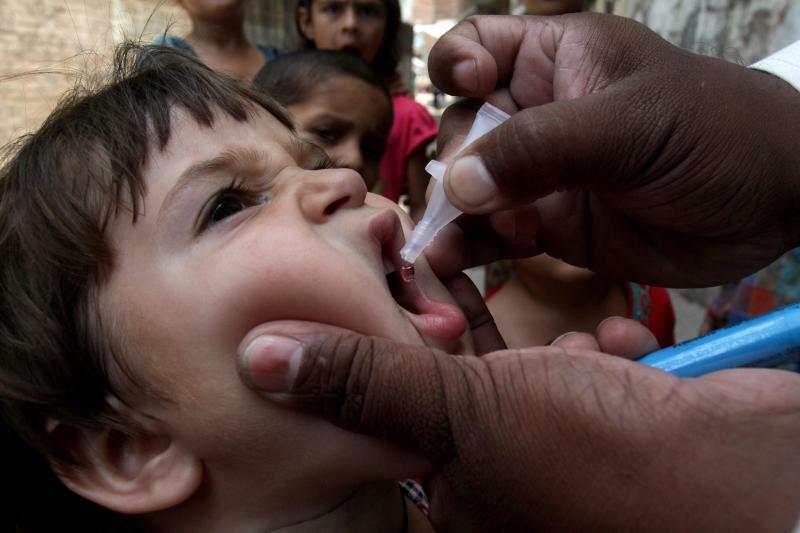 Another result of the CIA’s actions was to lead many Pakistani parents to forgo vaccinations for ailments like polio. The crippling and sometimes fatal illness has no known cure – but there are several safe and effective vaccines, according to the Centers for Disease Control. Of the 77 documented new cases of polio worldwide in calendar year 2014, 61 were in Pakistan, mostly from the remote and restive Federally Administered Tribal Areas (FATA) region, which serves as a Taliban stronghold. Earlier this month, the World Health Organization imposed travel restrictions on anyone coming from Pakistan, one of just three countries in the world where polio is still endemic. The rules, to be implemented June 1, will require travelers leaving the country to have polio vaccination certificates. “While political and security agendas may by necessity induce collateral damage, we as an open society set boundaries on these damages, and we believe this sham vaccination campaign exceeded those boundaries,” they wrote, referring to the CIA’s hoax campaign. CIA Director John Brennan made the decision himself because he “took seriously the concerns raised by the public health community," CIA spokesman Todd Ebitz said. “By publicizing this policy, our objective is to dispel one canard that militant groups have used as justification for cowardly attacks against vaccination providers,” Ebitz said by email. Council on Foreign Relations senior fellow Laurie Garrett, a Pulitzer Prize-winning writer on emerging pandemics, was the first to reveal the existence of the letter on Twitter and her Facebook page. White House & #CIA sent letter to deans of US schls pub hlth vowing never again us fake #vaccination as did to track bin Laden.